'Precautionary measure' taken by Barclays comes as another blow to Kaspersky's reputation. Barclays will no longer offer free Kaspersky antivirus software to its new customers in another blow to the Russian security firm. The UK high street bank decided to stop giving away this software after an official warning from cybersecurity chiefs, saying that the Kremlin could potentially use the software to monitor user's devices. 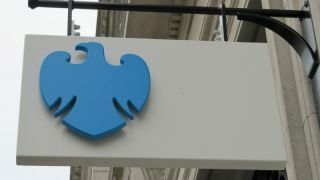 Barclays said that the move was a ‘precautionary measure’, but has notified 290,000 users, all of which were customers who have signed up to Barclays online banking within the last 12 months. The bank said: "The UK government has been advised... to remove any Russian products from all highly sensitive systems classified as secret or above. We've made the precautionary decision to no longer offer Kaspersky software to new users. However, there's nothing to suggest that customers need to stop using Kaspersky. At this stage there is no action for you to take. It's important that you continue to protect yourself with anti-virus software." Kaspersky said it was ‘disappointed’ by the news. Ian Levy, the NCSC's technical director, said there was no evidence the guidance to government departments should apply to the wider public. "For example, we really don't want people doing things like ripping out Kaspersky software at large as it makes little sense," he said. A spokesman for Barclays said: "Even though this new guidance isn't directed at members of the public, we have taken the decision to withdraw the offer of Kaspersky software from our customer website." Members of the general public and anyone who already have Kaspersky Lab software installed can continue using their devices as usual, the firm said.